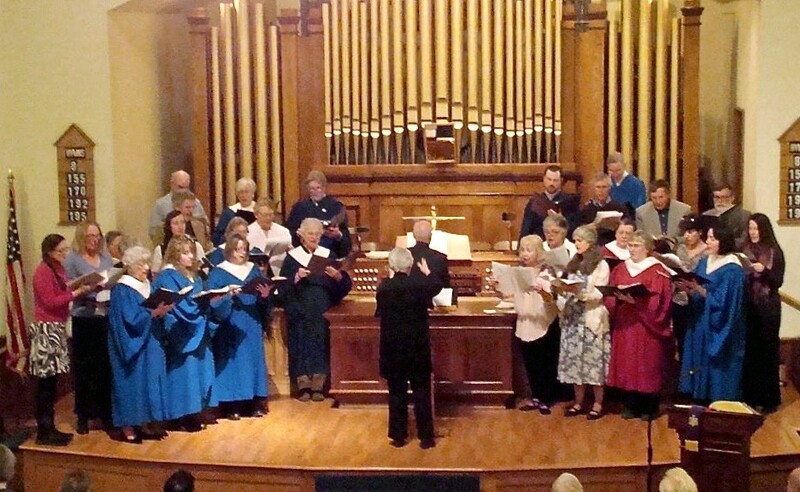 For more than 50 years the Bradford Congregational Church has hosted this annual worship service of praise featuring the choirs of surrounding town churches, instrumental musicians and singers, and Combined Chorus. Many traditions have endured over the years, such as the singing of five hymns with descants and organ embellishments. In addition, the final hymn is always the great “All Hail the Power of Jesus’ Name.” The sanctuary filled with singers resounds in 5-part majesty for every hymn and many attend to join in singing these hymns to life. Musicians and singers have come from Bradford, Corinth, East Corinth, West Topsham, West Newbury, Newbury, Groton, Wells River, North Haverhill, Haverhill, Piermont, Pike, Ryegate, Lebanon, Woodstock, and Fairlee. A glorious sound indeed! We hope you will mark next Palm Sunday evening on your calendar. You’ll be glad you did! You may join a choir, join the Combined Chorus, or attend to soak in the glorious sounds.